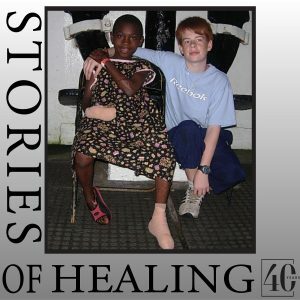 Sandrine tearfully wrapped Serah’s disfigured feet and could not find the courage to look at them again for three days. Sandrine’s husband had been delighted about his daughter’s birth, but he felt ill when he learned about her club feet. All he could think about was her limited options for the future in Madagascar. She would be ridiculed at school, would be unlikely to find employment and dare not hope to marry. Serah’s Grandmother just cried and cried. 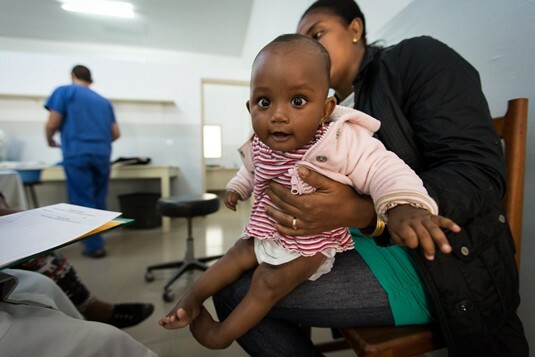 But the midwife explained there was hope for Serah; Mercy Ships was returning to Madagascar in 2016 and could treat her condition. It wouldn’t cost them anything! When Serah was seven months old they began weekly visits to the Ponseti clinic. Serah grew used to the physio team ‘playing’ with her bent feet – gently stretching and manipulating. After each session, Serah’s feet were held in the newly attained position by a fresh plaster casting. Serah had six little casts consecutively on both legs before a snip of her Achilles tendons allowed her feet to fully pop into the final, anatomically-correct position. To maintain this ultimate degree of foot flexion she wore miniature foot braces constantly, for three months, then braces at night. When Serah took her first steps in 2016, she looked just like all her little toddler friends. It’s impossible to tell she was born with a disability. Serah will never remember living with the burden of bi-lateral club feet, but her Mum will never forget.